Whether it’s a seemingly harmless attachment in an e-mail at home, checking a social media site on a smartphone, or processing an online order at work, anyone from individual computer users to corporate employees can experience a breach in cyber security. President Obama designated October as National Cyber Security Awareness Month and although it’s crucial to raise awareness about a serious issue, appropriate cyber security should be practiced by everyone on a daily basis. The beauty of the internet is that it’s easy enough for everyone to use. Unfortunately, it can also result in identity theft and various cyber scams if not navigated safely or responsibly. Remember, whether you are a novice internet user or use it heavily throughout the work day, you can be a victim of cyber attack without even knowing. Here are some reminders and tips to stay to more cyber safe every day. Everyone knows that one person who overshares in real life. Enter the internet world and there seems to be hundreds of “over sharers” in our newsfeeds every day. Before you share your latest pictures of your baby, a classified with a phone number, or your personal thoughts about co-worker, make sure you are aware of your online audience (they consist of family, friends, friends of friends, and strangers). Even with privacy settings, you don’t have complete control of your viewers. For example, posting a seemingly innocent picture of your outdoor decorations at your house, with your house number in the background, is enough information for a stranger to figure out where you live or other personal information. Sadly, our lives are far from private. 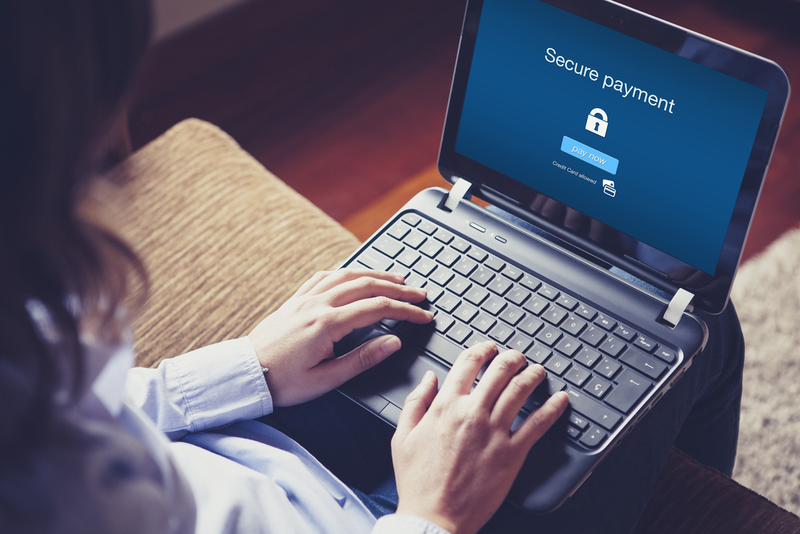 You may already know that you shouldn’t have the same password for everyone online account, but do you know how to secure wireless networks or how to shop responsibly online? Amping your online security can be a bit overwhelming, but start with steps you fully understand and can do on your own. Whether you use your smartphone for daily tasks like banking or e-mailing or use a personal computer for storing important, confidential files, it’s important that both devices are secure. Not only should you have a safe online presence, but help others who are less familiar with the ins and outs of the complex internet. Older individuals are a growing demographic of internet users, but their knowledge may be limited. While your elderly relative may only use the internet to scan or email old family photos, he or she may have an unsecure connection or bogus anti-virus software. Children and teens use the internet almost constantly, at home and in school. While many schools monitor internet use closely, it’s harder to monitor what sees and happens at home (no matter how many rules you have). Educate your child on the “do’s and don’ts” of the internet. To test your knowledge, check out this cyber security quiz or other similar quizzes. If you have other questions or issues with your security, visit a trusted professional in your area.